While it seem that @UBISOFT has been milking the Assassin's Creed Series year in and out, the last main game to be released was in 2017.
" For the last four years, the team behind Assassin’s Creed IV Black Flag has been crafting a new beginning for the Assassin’s Creed franchise. 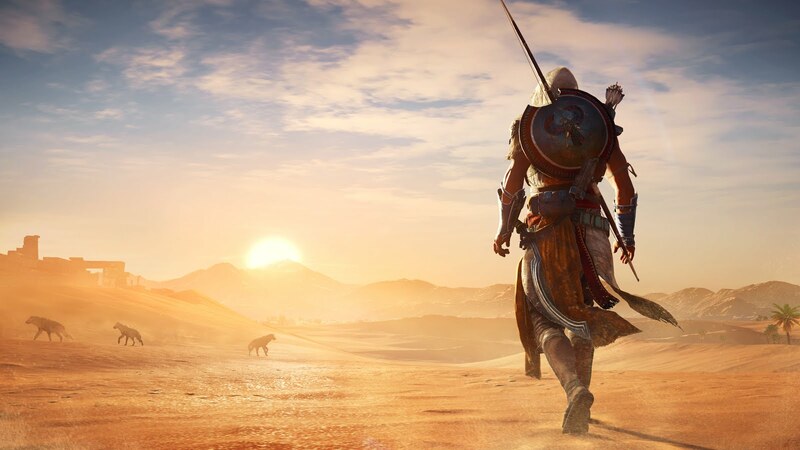 The action takes place in Ancient Egypt, inviting players to explore the most mysterious place in history, during a crucial period that will shape the world and give rise to the Assassin’s Brotherhood. Plunged into a living, systemic and majestic open world, players will discover vibrant ecosystems, made of diverse and exotic landscapes that will provide them with infinite opportunities of pure exploration, adventures and challenges. I've been a fan of the Assassin's Creed series since I laid hands on Brotherhood. Then I went back and played the original the first 2 games of the series and love it. Well, at least until Assassin's Creed III. Don't get me wrong I was a fan of III and it probably one of my favorites of the series but in contrary I hated the ending of the game. This is a shame because it turned me off from the series there after. I am willing to give Assassins Creed Origins a go when it releases though. The setting of Ancient Egypt seems very compelling.